Check out if TRIAL is in The Top 100 NGOs 2013 Edition! Ending the impunity of war criminals. 60 ongoing cases serving 170 victims. Founded by a group of lawyers, torture victims and human rights activists when the Rome Statute establishing the International Criminal Court entered into force in 2002, the Geneva-based TRIAL (Swiss Association Against Impunity) is committed to wielding the law in support of victims of international crimes like genocide, crimes against humanity, forced disappearances and torture. As the head of TRIAL, Philip Grant, has emphasised, the deterrent effect of international criminal law depends on states ‘heed(ing) their international obligations’ and actually prosecuting alleged perpetrators. Working with a shoestring staff in Switzerland and abroad, the organization seeks to ensure these obligations are met via a multi-faceted approach. 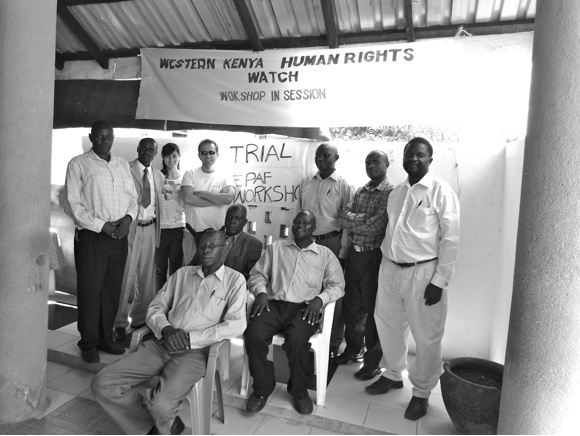 The Advocacy Centre TRIAL actively fights impunity by lodging complaints with international human rights bodies charged with adjudicating individual cases, while the 'Fight Against Impunity in Switzerland' program pursues litigation in Swiss courts against individuals and companies present on federal territory suspected of international crimes. Complementing this caseload (on behalf of 170 victims and their relatives in 2010), TRIAL also pursues a number of public advocacy projects, including ‘Trial Watch’ – a substantial online resource offering easy access to over 750 ongoing or completed international criminal proceedings. Finally, the organization passionately lobbies at both the Swiss and international levels to protect the integrity of the Rome Statute and the subsequent alignment of federal laws.